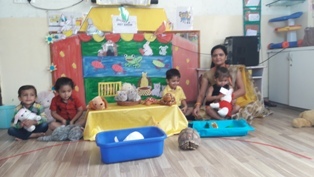 The sparkling stars of Play Group WIS Bhilwara enjoyed pet show on Thursday 21-7-2016 with a lot of thrilling activities .The kids brought their favorite pet animals soft toys and they also saw the real pets such as rabbit, turtle and love birds .They enjoyed the pet animal puzzle .The toddlers took keen interest in puppet show. They also did worksheet of animal tea party. 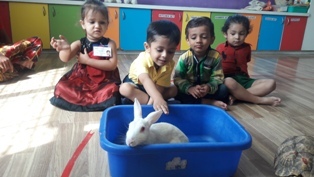 The tiny tots of play group talked about their pet animals which they brought from their homes. 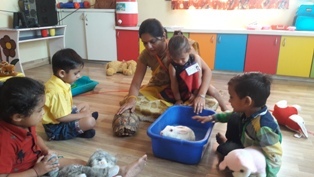 From this activity kids could recognize different types of pet animals.